In my life I have been fortunate enough to have travelled rather extensively and to have seen some pretty incredible things. I am not a ‘city traveller’, as in I do not travel to places to see touristy sites, ancient buildings and museums. 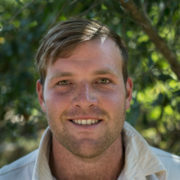 I am a ‘nature traveller’. I travel to wild places and destinations in search of unusual, rare, endemic or beautiful aspects of nature…the flora and fauna. 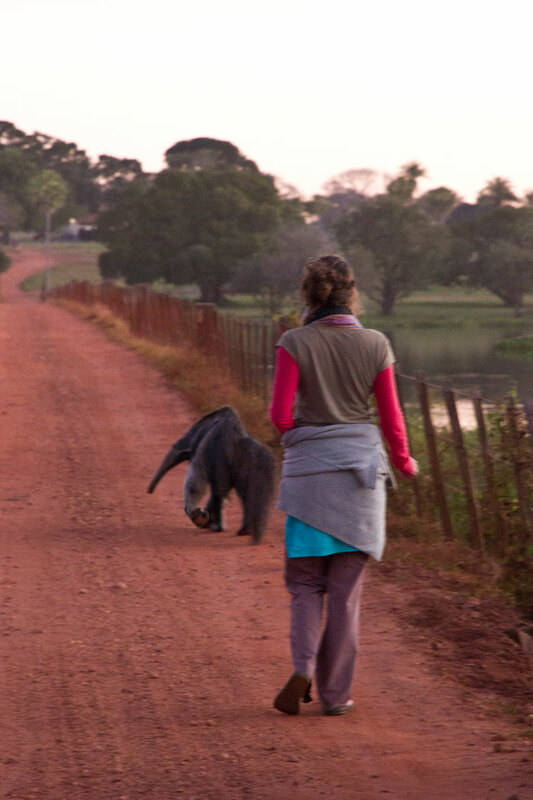 To date my most exceptional thing to have done whilst traveling was to ‘Walk with a Giant Anteater’. Quite simply it is a life changing experience! If you have any inclination towards ‘nature traveling’ then I would recommend putting this in your bucket list! The elongated claws force the anteater to walk on its knuckles, similar to the platypus and African apes, specifically gorillas and chimpanzees. It’s wonderful to watch, and listen to them when they find a ant nest. You can hear them sucking up the ants, almost appearing as if they sniff them up the long snout. It feeds primarily on ants and termites, using its foreclaws to dig them up and its long, sticky tongue to collect them. 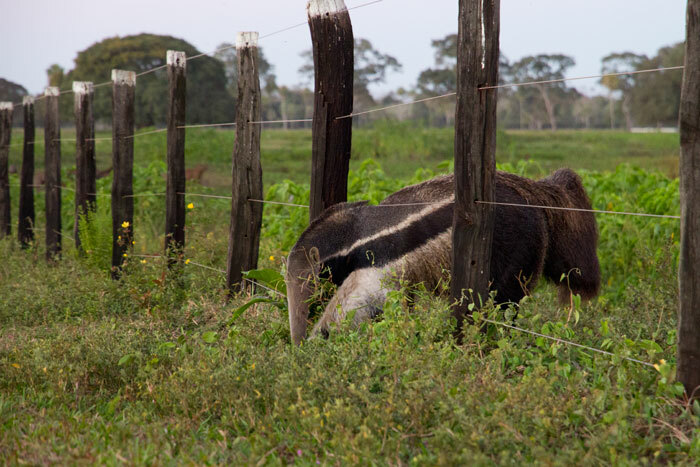 Though giant anteaters live in overlapping home ranges, they are mostly solitary other than when mating, during mother-offspring relationships and aggressive interactions between males. Mother anteaters carry their offspring on their backs until weaning them. Being able to walk close by to the anteaters for a lengthy period of time allows one the opportunity of taking the most incredible and intimate photographs of this most unusual of animals. 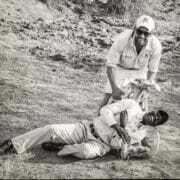 In Africa I find it is the giraffe which I strikes people as ‘out of this world’. I think that the Giant Anteater takes on a similar role in South America. There are few places where it is as easy to see as at Caiman Ecological Refuge in the Pantanal. 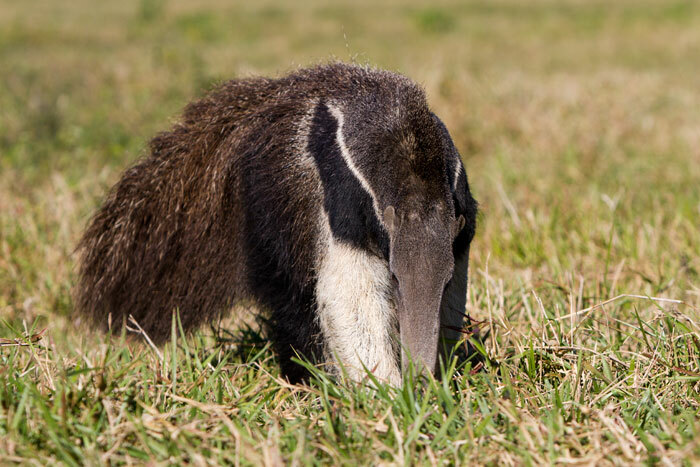 The giant anteater detects termite mounds and anthills with its keen sense of smell and tears them open with its strong claws. What we call an anteater’s nose is actually an elongated jaw with a small, black, moist nose, like a dog’s nose. Giant anteaters have a two-foot-long tongue and huge salivary glands that produce copious amounts of sticky saliva when they feed. 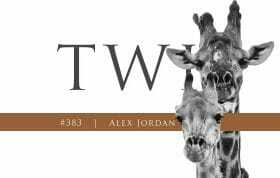 They may eat as much as 30 000 ants in a single day! The cattle fences offer little, if no, obstruction to the movement of these wondrous creatures. 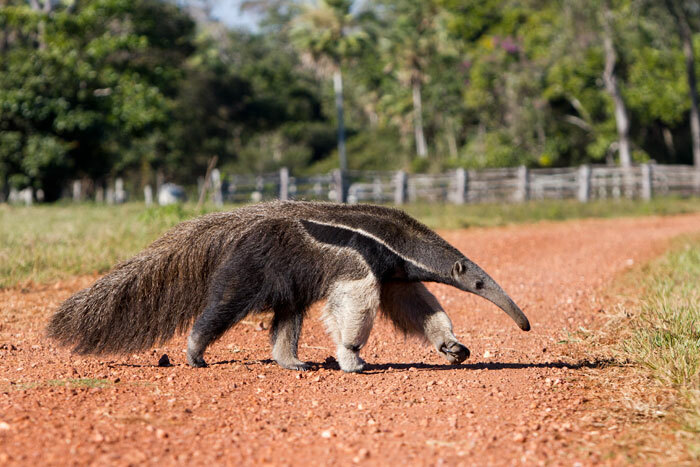 In the mythology and folklore of the indigenous peoples of the Amazon Basin and the Pantanal, the Giant Anteater is depicted as a trickster to the jaguar as well as a humorous figure due to its long snout. In one old wives tale, an anteater challenged a jaguar to a breath holding contest underwater, which the jaguar accepted. After the two removed their pelts and submerged, the anteater jumped out of the water and stole the jaguar’s pelt, leaving the jaguar with the anteater’s pelt. Interestingly it is well known that Anteaters are able to kill jaguars using the so called ‘hug-of-death’.To protect themselves, anteaters can rear up on their hind legs, roaring and slashing at an attacker with those powerful front legs and sharp claws. 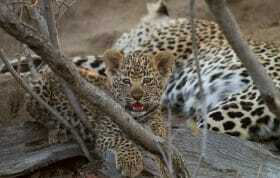 The sharp claws simply slice through the body of the jaguar. Not the greatest image, due to the poor light, but it does indeed capture of almost mythical qualities of walking side-by-side one of these animals. During the Spanish colonization of the Americas, the giant anteater was one of many native fauna taken to Europe for display. 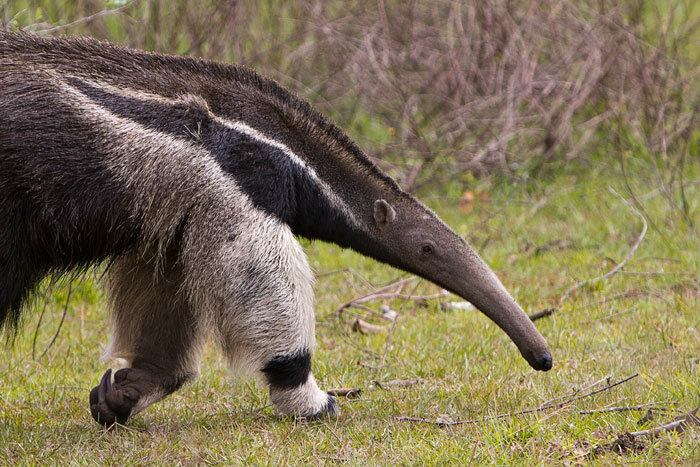 At first, Europeans believed that all anteaters were female and mated with their noses. Giant anteaters use their hairy, bushy tails to curl over them like a blanket when the weather is cool. Living in the Pantanal the Anteaters need to be good swimmers. They use the freestyle stroke and their long snout as a snorkel. It is estimated that only 5,000 Giant Anteaters are left in the wild! We felt privileged leaving Caiman Ecological Refuge having seen 6 of these endangered animals. Yes, us Swedes love nature and wildlife. I have just been in Pantanal to photograph jaguars and interview people that are working with conservation for a book I am writing. May I ask about a link to the article? I really wanted to go to Caiman but it was just to far away from Porto Jofre were I stayed. When I read the articles I wish I had the time after all. Did you see a sloth? They are something to see as well. I did not. Would love to see one one day. They look awesome! Would you like for me to send you a photo? I was fortunate to see a couple in Costa Rica. I did not however, see a giant anteater. Just some smaller ones. Had no idea they were so large! 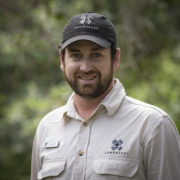 You are so fortunate to have the ability to travel & learn so much about all our diffrent species of animals among us….you are doing what you love & I thank you for all your great posts, pictures & video footage that you capture….I hope one day I get the pleasure to meet you in person & thank you for all you do for us & the animlas. Dear Tammy. Thank you kindly for the words and comments. I love my job, i love writing, photographing and filming. I love keeping people updated and being able to use my creativity to share my experiences. I am so happy to hear that you enjoy the posts. 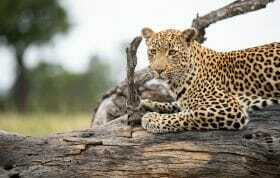 Be sure to keep watching for some epic leopard posts to come! 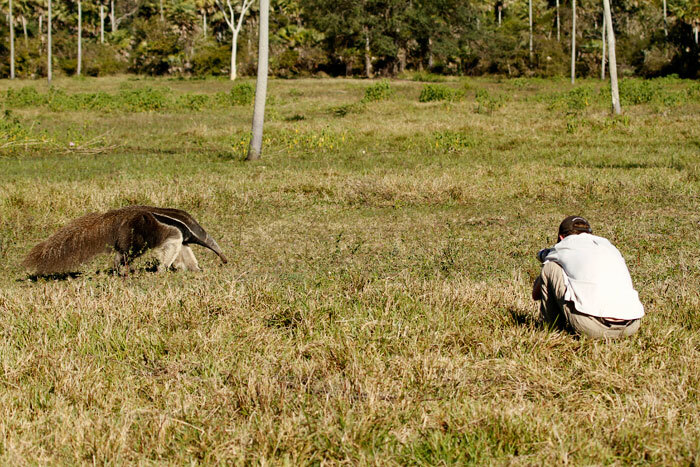 Great update Adam, I did the very same when I travelled to the Pantanal for just over a week in ’09. Wonderful, unique animals to watch, walk with and photograph, we saw a good few of them including a mother with a baby on her back! So cool! I’d love to walk alongside a giant Anteater! !